Gorgeous card Tristan, great to see your cards on blog Land!! Love the colour! Nicely done Tristan. I like the blue flower on the cream cardstock with the gold matte. Gives a soft look that is lovely. Love your design ideas which make this card special! The angled blue dahlia, the repeated stamping of the sentiment and the gold accent, every element is awesome! Thank you so much for joining us at The Flower Challenge! Beautiful card! I have this stencil and my attempts certainly don’t look as polished as yours. Love the blue. 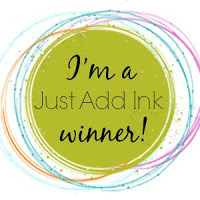 Love your watercoloring and this stamp, Tristan!!! Awesome!!! This is beautiful Tristan! I love how you placed the flower on an angle and framed it with the sentiment. Gorgeous! Hello!! This is a GORGEOUS card!!! I love the diagonal layout of your card with the sentiment wrapped around it!! The watercolored large flower is set off beautifully this way!! Definitely a different, but fantastic way to use such a large stamp. I’m definitely going to have to use this layout in an upcoming card!! Previous Previous post: Hello and welcome to my blog.